Our next dance will be this Friday the 12th of February, and the 2nd Friday of the months following. Join us for a great evening of dancing! ...and a huge hardwood dance floor! 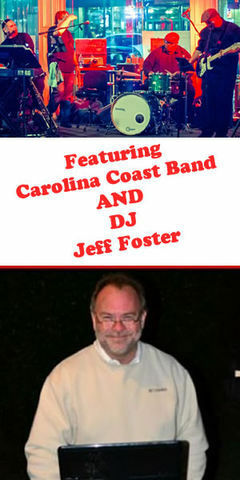 Join us for Carolina Shag the 2nd Friday of every month! Shaggin' on Trade St is held at Grace Hall. Grace Hall is located at 108 Trade St., across from the Greer Chamber of Commerce, and next door to Bin 112. Make sure you make your table reservations to ensure you have a great seat. WHAT: Shaggin’ on Trade St.
7:00 - The band starts playing and everyone starts dancing. DRINKS: There will be a cash bar open until 11pm, featuring domestic & import beers, and wine. Sodas and bottle water are also available at the bar. Complimentary bar snacks (pretzels, etc…) are available through out the night. For a full meal, we recommend one of the many fine restaurants in downtown Greer (see right column). You can have dinner before, or even dance for a while, leave for dinner, and return (no charge for re-entry). Some restaurants, like Wild Ace Pizza will deliver to the dance. If you have a party of 6 or more, give us a call and we'll reserve a table for your group. Also, if someone in your party is celebrating a birthday, let us know and we'll be sure to get them a special song from the band. Feel free to bring cake for your group as well. Participate in a new tradition that brings joy all season! Get a FREE family picture taken for use on Christmas gifts and cards. 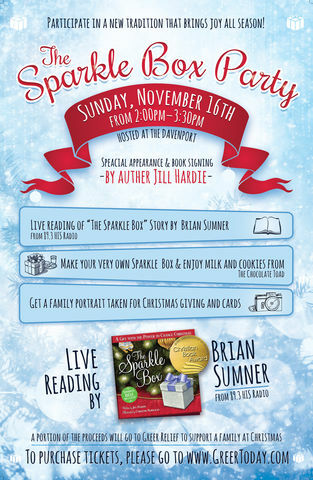 GreerToday.com's photographer will be on site during the event to take a photo next to our Christmas tree. High resolution photos will be available for download at no charge, then you can use them on Facebook, have them printed, etc.... You may also buy prints, coffee mugs, and more with your photo on GreerToday.com, but it is not necessary to get your high resolution download...that's FREE! 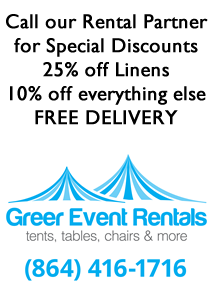 A portion of proceeds will go to Greer Relief to sponsor a family at Christmas. We had a unique wedding here at the Davenport June 7th that we wanted to share with you! Sarah Scott and Adam Warner planned a beautiful wedding that included family in unique ways. 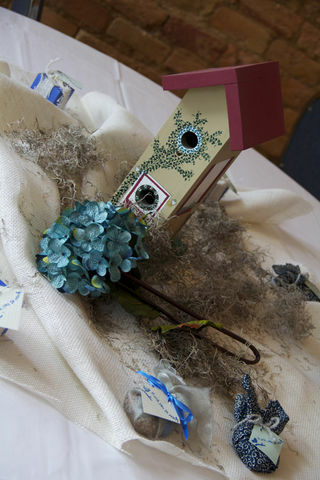 Sarah designed the centerpieces with painted birdhouses that Adam’s mother created before she passed away when he was 15. Although Sarah never had the opportunity to meet Adam’s mother, she said that she felt connected to her because they were both artists. The wedding also incorporated Adam’s brother, who in is the military and was deployed four days before the wedding. They connected via Facetime and he was able to see everyone and the beautiful decorations that Sarah and Adam created. We were honored to have Sarah and Adam in The Davenport and send them best wishes in their new life together! The Davenport is excited to be hosting Tech Night at the Davenport, with the Greer Chamber! Tuesday, July 17th, Graybar, a leading distributor of electrical, communications, data networking and security products, will be presenting some great information on netowrk controls and answering questions like, "How do emails get where they're going? ", "How does cabling enable us to be connected to others? ", and "What is structred cabling and how can it help my business?" There will also be products on hand for demo, and free beer, wine, and appetizers! 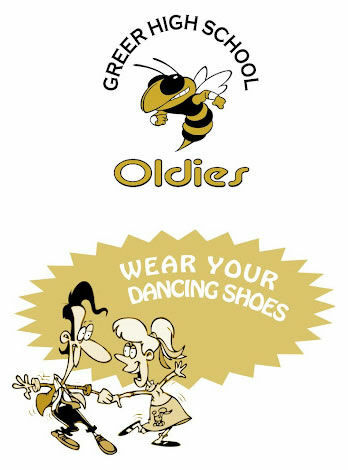 Like almost everyone in Greer, we're looking forward to the Greer High Oldies Reunion this Saturday! The Davenport will be open from 5pm until the last person leaves, so if you need a place to meet your classmates before, during or after the Reunion, be sure to drop by. We'll have tables and chairs available setup eariler in the evening for pre-reunion socializing. For the After Party (which should start around 10:30), we've been asked to have some chairs out, but to leave A LOT of space for dancing (we'll probably put all the tables up :-). Oldies but Goodies will be playing all night, so bring your shag shoes and don't be shy. Beer, wine and sodas will be available all evening, however we are allowing BYOB for this 1 night only. That's right...you can BYOB!